I was recently shocked after reading a recent poll conducted by Hiscox, a small business insurance provider, which found that only 12% of small business owners who were polled considered using social media a “must” for their business. Social media adoption varies greatly by company size according to the study in that 62% of businesses with 50-249 employees use social media for business, compared with 46% of those with 1-9 employees. 50% of respondents said they couldn’t do without word-of-mouth marketing while just 4% said the same about social media marketing. The irony is that social media encompasses many forms of word-of-mouth marketing indicated by the ‘Likes’ you see on your friends’, colleagues’ and family members’ Facebook pages. In addition, Facebook is now a strong referral source as it is becoming increasingly common for people to post questions such as one I posted last month, “Who can recommend a daycare center that offers a foreign language program?” Of all social media channels, Facebook was deemed the most important for growth followed by LinkedIn at 18%, a company blog at 8% and YouTube at 6%. This week, Facebook announced its new program, Facebook Marketing Solutions- Business Boost, in which the company will give away $10 million in free advertising to small businesses. Facebook is partnering with the National Federation of Independent Business and the U.S. Chamber of Commerce to roll out the program which will offer qualified businesses with a minimum of $50 of free Facebook advertising while educating and engaging small businesses on how to get more customers, build lasting connections and reach your customer’s friends. 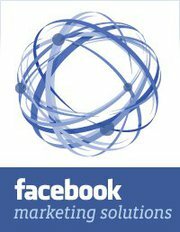 Facebook also promises free resources and information on how to market your business on the social network. The company is sending its reps out to meet with small business owners in person. The program’s focus is to build awareness, especially since the majority of small businesses believe social media is unnecessary. If you are a small business owner who is ready to dive into the world of social media marketing, be sure to define your goals before embarking on a social media campaign strategy. 27% of survey respondents use social media to generate brand awareness and 22% to generate sales. A quarter of respondents cited customer service and research individually at 10%, and improve SEO at 5%, as top goals. Surprisingly, only 11% use social media to promote new offers and promotions which is actually a good thing. The more offers available, the more challenging it becomes for the marketer to cut through the ‘noise’ to gain a prospect’s attention. More importantly, social media is poised for organic marketing meaning that people prefer to seek out and receive information, referrals, etc. from their ‘friends’ or colleagues vs. a hard-core sales pitch. Traditional marketing will always remain somewhat valuable however social media should be at the top of small business owners’ marketing strategy plans. Facebook’s new program, Facebook Marketing Solutions, can definitely give your business a boost.